Updated May 2018. Click title lines to see additional content. 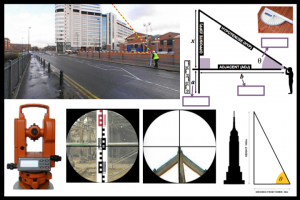 Theodolite poster - how to use to find a height. Have each pupil calculate height of building and then use mean, mode or median to decide 'height'. Think about other ways to find the height of the building - could any of these be more accurate? 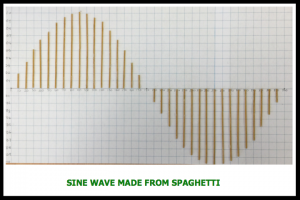 Great fun making sine wave from spaghetti. 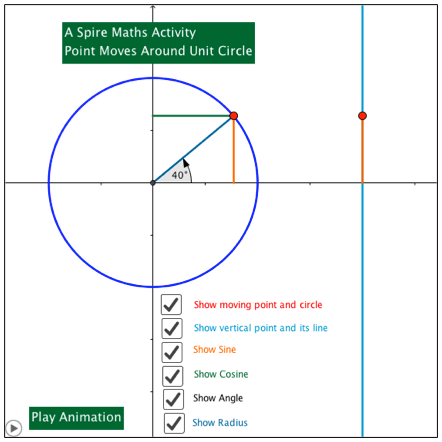 This GeoGebraTube file, diagram below, shows movement around unit circle as well as motion of vertical component.